1890s autograph album of Mabel C. Graves of Sandwich, New Hampshire. Mabel inscribed her name on the inside front cover. 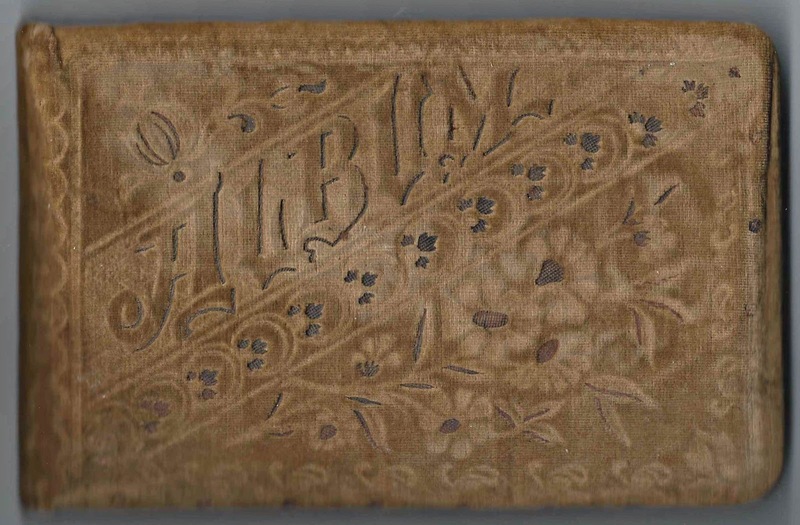 The album is approximately 7-1/2" x 5", with thickly padded fabric covers and contains 32 pages signed by Mabel herself, her relatives and friends. An alphabetical list of the signers appears at the end of this post. Mabel C. Graves was born about March 1879 in New Hampshire, the daughter of Aubrey M. and Sarah Louise (Sanborn) Graves, who were born at Sandwich, New Hampshire, and Tamworth, New Hampshire, respectively. 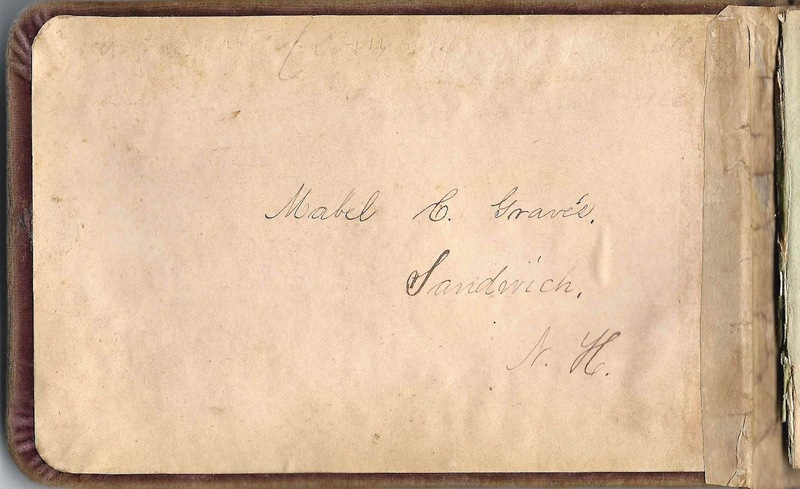 Mabel's maternal grandparents were Joseph Dana Sanborn and Louisa (Rote) Sanborn. 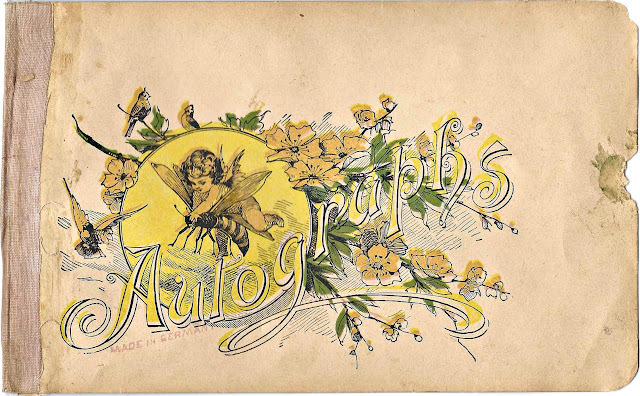 On 5 December 1914, Mabel married Henry Aloysius Boyle, son of Irish immigrants Patrick and Catherine Boyle. Henry was born at Boston, Massachusetts, on 5 October 1882. According to "The Vittum Folks", written by Edmund March Vittum and Linnie Bean Page, published in 1922, Henry and Mabel farmed at Moultonboro, New Hampshire, and ran a boarding house in the summer. They had no children. The book mentioned that Mabel's parents had also boarded tourists at their farm on the south side of Vittum Hill. 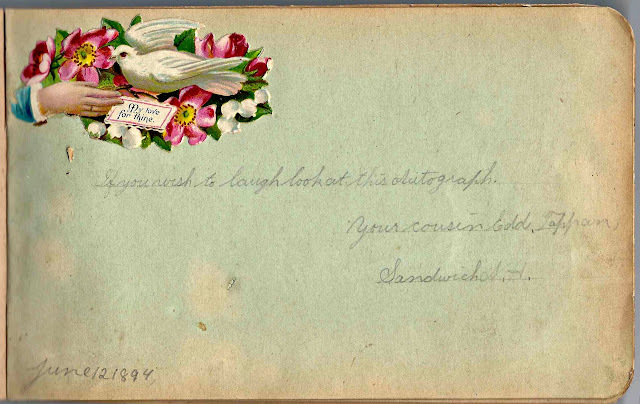 Minnie Tappan signed a page on 8 June 1894 and indicated that she was Mabel's cousin. Her mother, Abbie Faye (Graves) Tappan and Mabel's father, Aubrey M. Graves, were cousins. Another Tappan called herself, or himself, Mabel's cousin. This was Edd Tappan of Sandwich, New Hampshire, who signed a page on 12 June 1894. 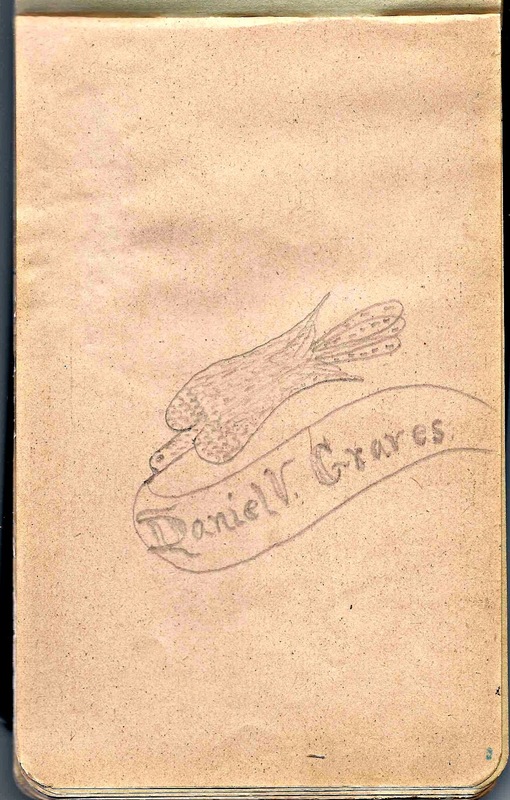 Daniel V. Graves sketched a bird. 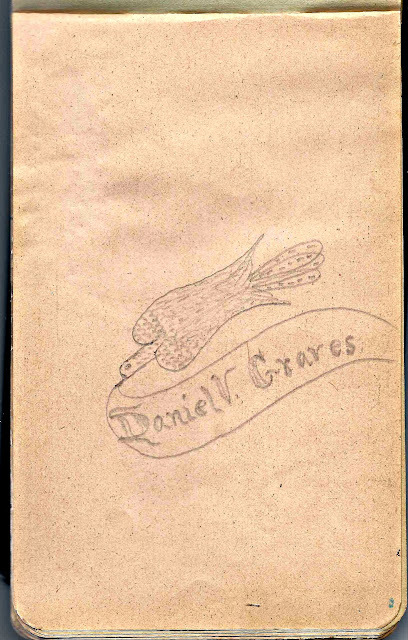 He may have been Daniel Vittum Graves, younger brother of Mabel's father Aubrey M. Graves. 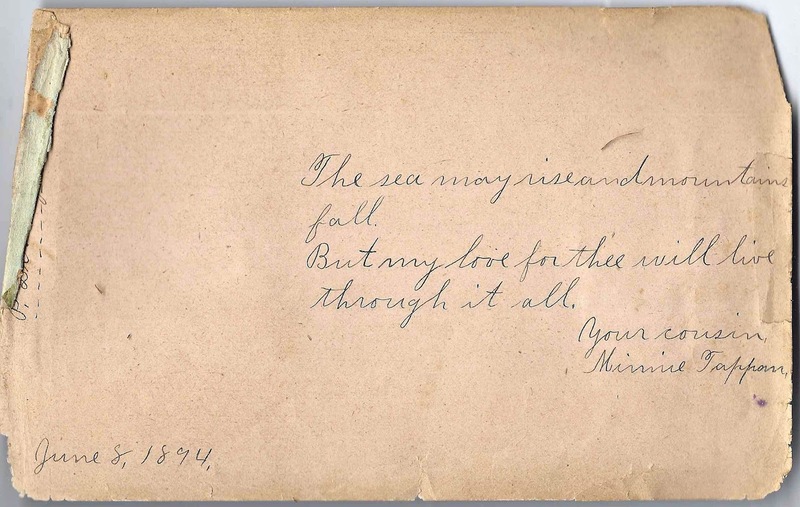 George W. Eaton and Mrs. Jennie Eaton of Haverhill, Massachusetts; they shared a page. Where do you get these items from? Some local antique malls and shows, but mostly from online sites. As you've probably figured out, autograph albums are a favorite! The social media of their day... I bought a very, very old, blank one that I take with me to collect autographs. For anyone researching the BOYLE family mentioned above; I am a descendant of Patrick H. Boyle's eldest sister, Margaret (Boyle) Dunley and am researching this entire Boyle family. Feel free to contact me.